In 2017, we officially launched the Edmonton Convention Centre Community Art Program. It all started with an open call to local artists, and in 2019, we received more than 130 submission from 67 artists. 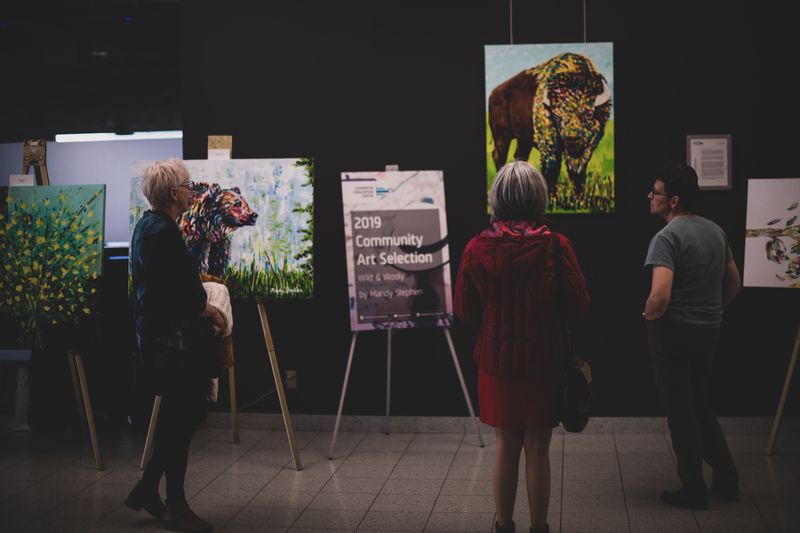 The submissions were evaluated by a panel of members from Edmonton Economic Development Corporation and total of 17 pieces from seven local artists were selected. These pieces from seven local artists are currently being exhibited and will hang in our venue over the next year. They were officially unveiled during the third annual Art Night at the Edmonton Convention Centre, where all artists who made submissions were also welcomed back to sell their work. The Edmonton Convention Centre was transformed into an art gallery for an evening, and hundreds of guests took in a fabulous evening of art, food and cocktails in the heart of Edmonton’s River Valley. Learn more about our 2019-2020 featured artists below. Neon Mammoth started as an easy idea and progressed into a month-long project in which Alexander individually created each sign as he re-constructed Edmonton’s Neon Museum. 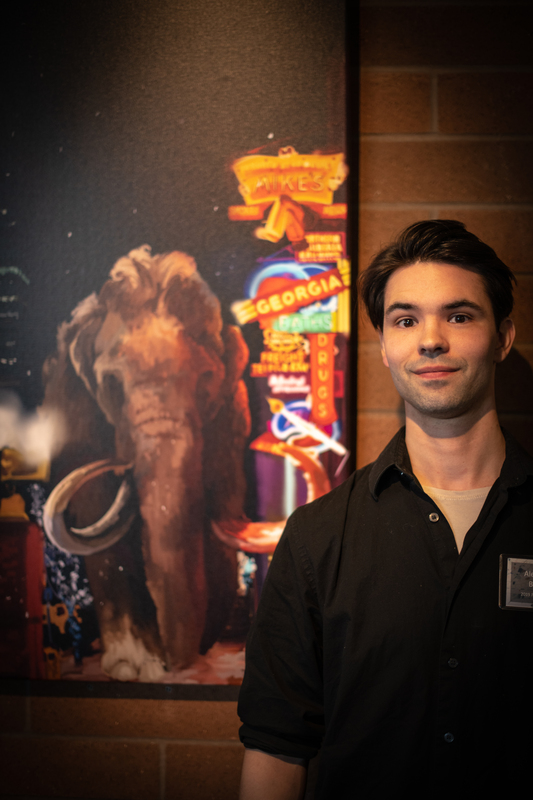 While creating the piece, Alexander carefully considered the mammoth’s height as the large mammal would stand next to the iconic buildings of 104 street. This original piece of artwork was inspired by the grand opening of the Royal Alberta Museum in downtown and its proximity to the Neon Museum. In the back of his mind, Alexander created Neon Mammoth with one eye looking back into the past while the other looked forward to the future. Neon Mammoth is a symbol of change in moving forward. Canadian artist Alexander Boykiw gains inspiration from a diverse variety of genres, places and pop culture followings. Since childhood, he was particularly drawn to the cinema of hair-raising horror. Alexander’s style focuses on realism and he prefers to paint with oil paints, while also working on his Wacom Cintiq for digital painting. In a city of festivals, Feel Like I’m Ten Feet Tall portrays the feelings of entertainers into a physical representation. The imaginative idea of its nature is poetically viewed through paint strokes. The bold colours perfectly illuminate a balance between the citizens and a summer day in the iconic Churchill Square. “A blanket of snow covers the ground as the fall leaves cling to branches for just a bit longer…. This piece is simple. A few sticks in some snow. The tattered leaves on the branches are dead, barely clinging. Whiteness overwhelms. Winter has, in its habit, come and settled. Some may look at this piece (or our city) and that’s all they’ll see. But some will look and see more; that life must be present to live and die and, by implication, be reborn; that cold will come and linger, and then leave; that beauty is not easily banished, and not constrained to the obvious–that there is something still worth seeing, contemplating, even here. Local artist Corrine Macdonald has been painting for 25 years. Most recently, she has been encouraged to share her work as an emerging artist. Corrine first received the opportunity to showcase her artwork at the iconic ArtWalk. Like any of her fellow Edmontonians, Corrine is grateful to live in our city which is world renowned for its summer festivals and local art events. Frequently captivated by nature and outdoor adventure, Corrine finds inspiration for her paintings from some of Earth’s greatest creations. She will often find herself looking up towards the trees for unique movement in between their branches and to close in on their incredibly detailed form. Each painting captures the moment with appreciation for its simplicity and peacefulness. Inspired by Edmonton, Lost in the City by artist Diana Gorski is made from the beautiful Edmonton city skyline using brush works in a 360-degree circle with the use of photoshop. As Diana first constructed this piece, she decided on the title Lost in the City. The inspiration came from our ever-changing and rapidly evolving city and its downtown core. With a desire to capture a delightful, diverse and unique perspective, Lost in the City beams with beauty. Diana Gorski is a self-taught photographer who recently progressed to a creative style of photography. 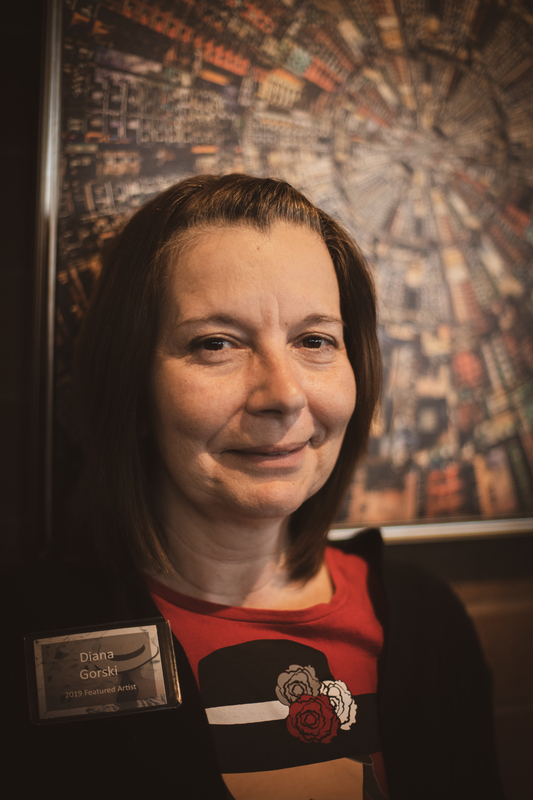 Diana has a love for taking photos and turning them into artwork with the support of her husband Chris, three beautiful children and grandsons, Nathan and Logan. Most recently, she completely her first year in Photoshop Artistry and will enter her second year eager to create more unique pieces. When it comes to art, Diana looks forward to learning, to evolving and to experimenting with her art. Cameron Avenue is symbolic of a wet, cloudy early autumn day in one of Edmonton’s oldest neighbourhoods. Three Sisters represents a row of old houses in Edmonton’s inner city. If windows were eyes, they have watched our city grow. Now hobbling to keep up, the houses are our senior citizens. Small towns used to have downtowns. People would meet and shop and build their communities. Today, these buildings watch as cars drive by. Downtown Waskatenau is a lonely reminder of the vibrancy of community. Jennifer Conneely is an emerging fine art acrylic painter who resides in St. Albert, Alberta. Inspired by architecture, she is drawn to the unassuming, aged buildings we often take for granted. Ultimately, Jennifer aspires to build a sense of community through the beauty of history and connection. 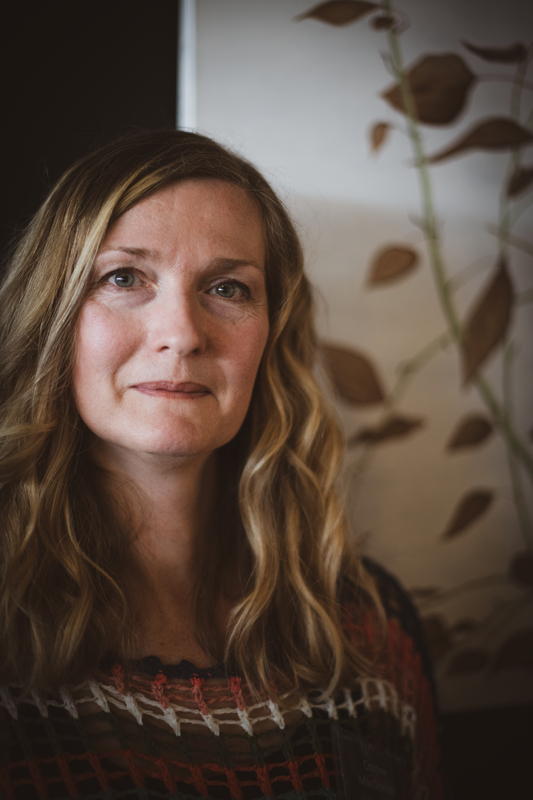 Jennifer received a BFA in Art and Design from the University of Alberta and traveled as she worked around the world as an adult educator and software trainer. During this time, Jennifer took a break from painting while she lived in Japan, United Kingdom and Ireland. Upon her return to Alberta, Jennifer worked with seniors. While she taught computer skills, Jennifer used Google Maps Street View to take the seniors on a “virtual walk” of their old neighbourhoods which helped them to re-discover their favourite places and travel the world. As the 360-degree views emerged, a lifetime of memories and sense of wonder came to life. Jennifer led an art club and encourage every member to connect with their creativity without judgement, regardless of cognitive, visual or mobility impairments. Their love of art encouraged Jennifer to begin to paint once more. Jennifer uses Street View as a tool to capture detached, unemotional viewpoints of buildings and places throughout Alberta. The idealized images represent fairy-tale, modern landscapes which are reminiscent of Lawren Harris’ Toronto House series. Without a sentimental undertone, the locations feature buildings which may have a limited lifespan and without which, communities would experience an irrevocable absence. As a child, artist Karen Blanchet wandered the world in search of a place of peace. A search from within led Karen to inspire greater care and concern for our world through her artwork. Her artistic style blends religious and scientific thought to create a divine space where everything exists in its right place–and life is good. Mandy Stephen is a local artist who lives fully immersed in nature’s beauty on her acreage which is located east of Edmonton. With Elk Island Provincial Park as her backyard, Mandy was tremendously inspired by the big, beautiful creatures found roaming through the wide-open spaces of land. That inspiration was used to create a personal piece of art and a reminder of home. Wild & Wooly was painted in a free, yet controlled style using acrylic paint with a paintbrush and palette knives. From a young age, Mandy has been a true artist and found her voice through expressive brushstrokes and bold colours with the use of acrylic paint or oil pastels. In 2018, Mandy transitioned from her role as a full-time mother and wife to a full-time artist after a fated epiphany. As a believer in destiny, Mandy knows everything happens in its own time, at the right moment. She felt the call to create. Nature captivates and inspires Mandy to paint daily. As she paints with joy and freedom, Mandy uses colours that speak to her soul and follows the journey of each painting, wherever they lead her. With no desire for perfection, Mandy’s creative style requires no overthinking. In her art studio, she allows herself full, creative expression and uses her heart to guide each artwork. Her style is personal and a direct reflection of her heart. As she works on multiple pieces simultaneously, her prolific pieces represent a variety of styles from abstract paintings to colourful abstractions. The pieces are often inspired by nature or wildlife, yet always incorporate a distinct person style. Once Mandy pursued her passion, her inspiration and creativity grew day after day. Painting is more than a hobby, it’s part of a lifestyle which she enjoys everyday. Most recently, Mandy began to work with larger scale artworks. 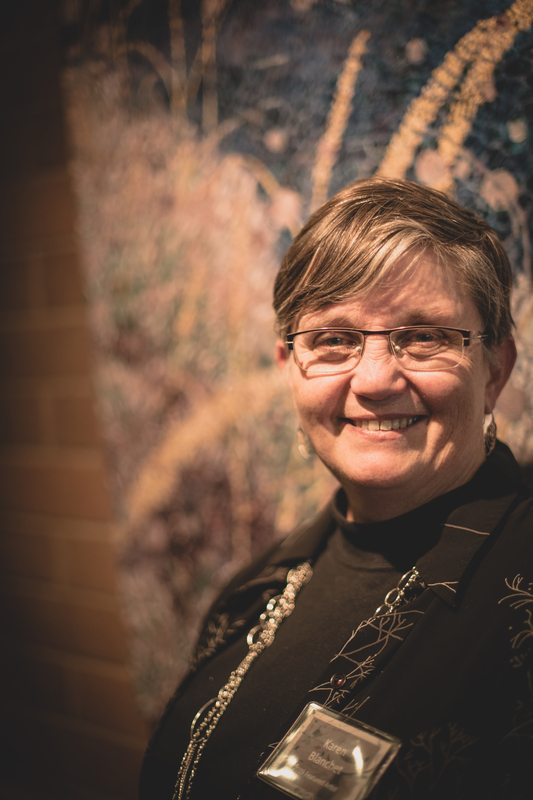 Through her work, Mandy connects with both local and international audiences as she showcases her art at various Alberta art shows and galleries. 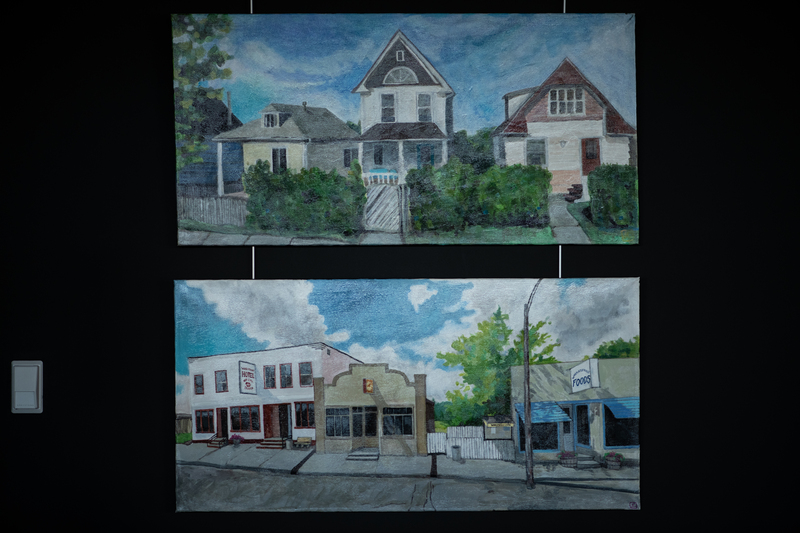 Edmonton and its surrounding area has been a supportive community for the local artist and she is grateful for the generosity she’s experienced as an emerging artist. 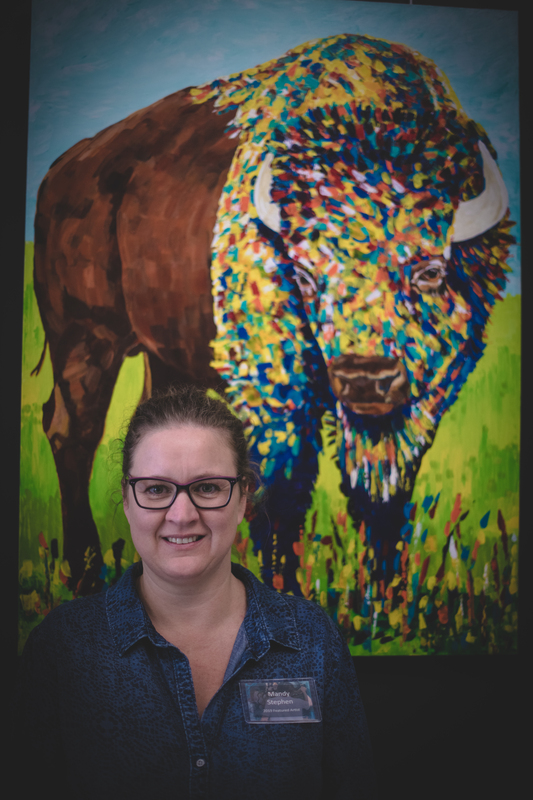 In 2018, Mandy exhibited her artwork at Spark Centre Art Gallery and the Raw Artist Showcase and in 2019, she had multiple paintings featured in a month-long group show at Gallery 501 in Sherwood Park. 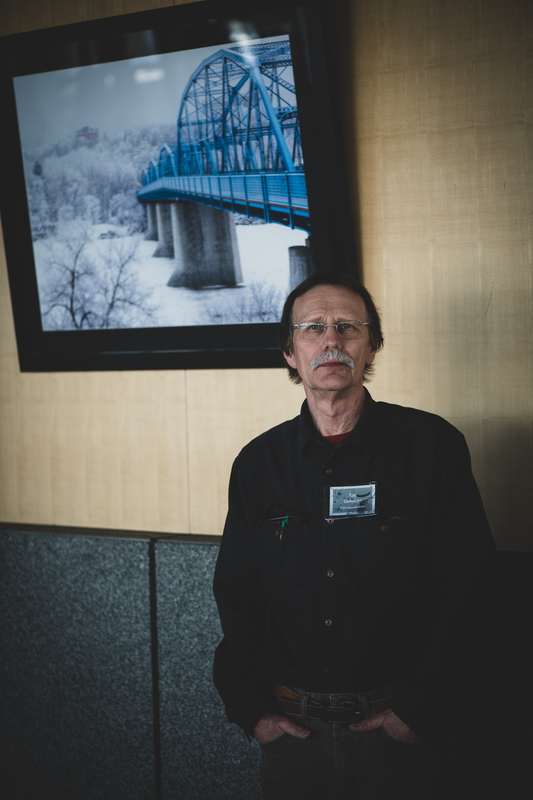 Ray Tamman is a local photographer whose primary interest is landscapes and heritage sites throughout Alberta. With a mobile career which takes him exploring across the province, Ray visits and photographs many isolated and little-known locations. From unique landscapes to abandoned town sites, his journey leads him to document the last remaining wooden grain elevators as well as the Ukrainian and Lutheran churches scattered across the prairies. Lighting and structure are important elements in Ray’s images. Sunrise and sunset provide perfect lighting, while stormy weather adds dramatic background composition. Since these conditions don’t always present themselves when Ray awaits with his tripod and camera, it can be a slow process to capture the image the way he prefers. These six photographs of Edmonton are representative of Ray’s style; from the glow of the city at sunrise, to the city wrapped in winter. An iconic Edmonton venue, the Edmonton Convention Centre has supported local artists by displaying their work both in and outside the venue for over 30 years. Over 70 pieces of art are now on display. From the Paskwamostos (Bison) that stands guard over the River Valley and gigantic murals by Clay Ellis in the Hall D foyer to the pARTnership Gallery featuring the work of grade 1 to 12 students, locals and visitors from around the world can be seen stopping to snap a photo or pose for a memento in front of these works. Learn more by reading Art in Unconventional Places. We also encourage you to stop by, grab a walking tour booklet from our administration office and explore the Edmonton Convention Centre.